Supergirl never got anywhere close to what it was doing at the beginning of its CW life last fall, pulling 0.5's for almost every episode of the fall. 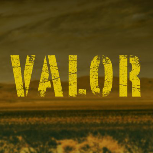 Valor remarkably declined even more in the 9/8c hour, compared with an already modest Jane the Virgin. The night looked a little healthier by the time spring rolled around, as Supergirl got its declines under control somewhat and iZombie proved a better option than Valor. Supergirl: (Average above is through June 4.) It remained a stronger show than Arrow and Legends of Tomorrow. And it's held up admirably enough into late May and June that I'm giving it the edge over those shows in the grading. But like most of the CW superhero universe, it's on the downturn. Moving to Sunday after probably much weaker local programming will be a fresh challenge for next season. Grade: C+. Legends of Tomorrow: It had almost exactly the same number of The Flash lead-ins as last year, so the trend is fairly indicative of reality. It's not collapsing quite as hard as Arrow, but the trend still points down. Grade: C.
Valor: This show bombed, but if only it had Dynasty's Netflix deal maybe it would've made it... Grade: D-. iZombie: It had some The Flash lead-ins last year, but also aired much deeper into the summer with horrible lead-ins. Those factors come relatively close to cancelling out and suggest a show continuing to get weaker, but not to a huge degree. Grade: C.
Here's the now updated Schedules Plus for CW Monday.